Are you ready to make this Halloween a hole-in-one? 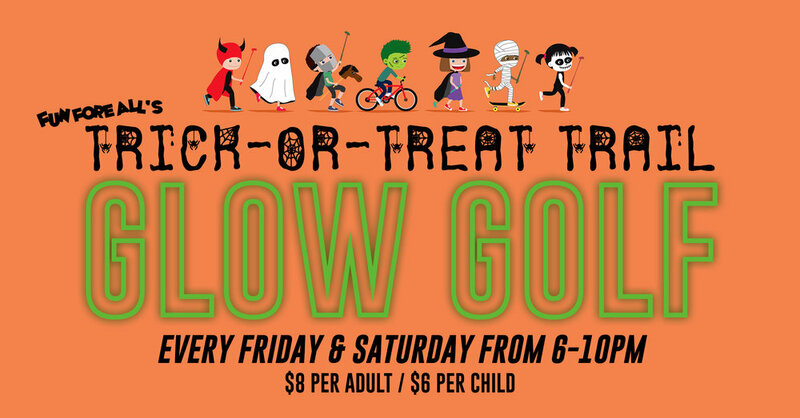 Fun Fore All's Trick-or-Treat Trail Glow Golf is back and better than ever! Bring your family and friends to play our outdoor glow golf, a park favorite, with a Halloween twist! Also, kids will be given treats along the mini-golf course trail, so don't forget your Trick-or-Treat bags!